Vinyl is one of the most popular siding materials today, thanks to its ideal balance between cost and performance. 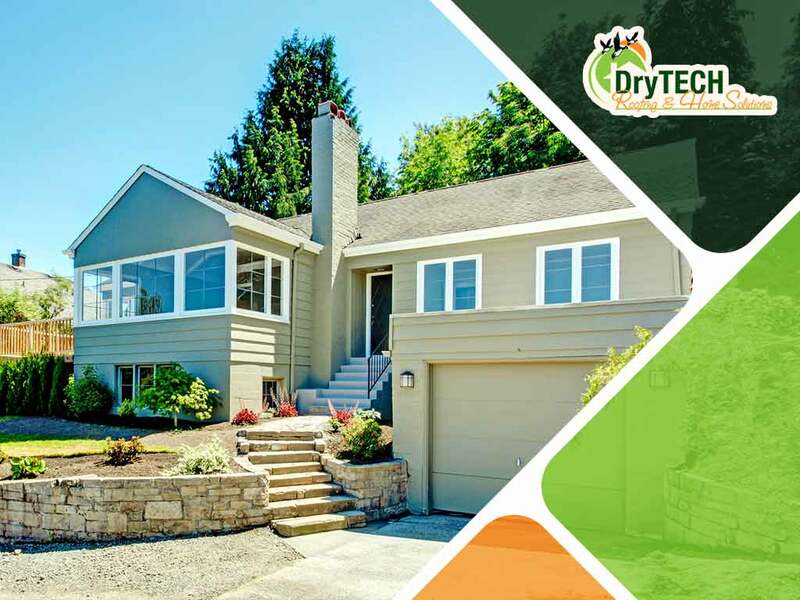 As one of the Maryland siding contractors who offer vinyl siding as an option, DryTech Roofing shares a list of reasons that make vinyl a viable siding material option. It’s a Widely Used Material – Also known as PVC or polyvinyl chloride, vinyl is the third most-produced synthetic plastic polymer in the world. As a durable plastic, it is widely used in products as varied as water piping, food wrap and medical kits. Such durability is perfect for use as siding, as vinyl can withstand constant exposure to the elements. It Comes in any Color – Vinyl can be colored during manufacture, which means you can choose virtually any color right out of the box. This eliminates the need to paint your siding, and the costs and effort that come with it, such as the eventual flaking/bubbling/peeling, the scraping and repainting. The siding offered by manufacturer-certified vinyl siding contractors like us are supplied straight from the factory, which is your assurance that the resulting installation will have a consistent look. It Requires Almost No Maintenance – Perhaps the most popular feature of vinyl siding is its low-maintenance properties. In addition to the zero repainting requirement, it’s just as easy to keep it clean. You don’t have to handle toxic chemicals or special tools – all you need is a mild cleaning solution, a garden hose and a long-handled brush for those hard-to-reach areas. The quick and easy cleaning process leaves you time to do more important things. It’s Wind-Resistant – Quality vinyl siding, when properly installed, can withstand wind speeds up to 110 mph, or the equivalent of a Category 2 hurricane. If you have roofing with the same wind rating, you can be confident that your home is protected under most weather conditions. Exterior components with high wind ratings may also have a favorable effect on your insurance premiums. To learn more about vinyl siding, or if you’re looking for the right siding contractors for your next project, call DryTech Roofing today at (240) 491-5600. You can also fill out our contact form to schedule a free estimate. We serve Maryland and surrounding areas.